Welcome to our feature on someone we’ve come across who is a hero for animals in this world. Heroes come in all shapes and sizes, all colors, and walks of life. Our heroes could be clients of ours, or someone we meet in the many communities we serve and the places we visit. At HousePaws, we celebrate the human/animal bond every day in our practice. We love finding people (and animals) who show the strength of that bond. We find them inspiring and hope you will, too! 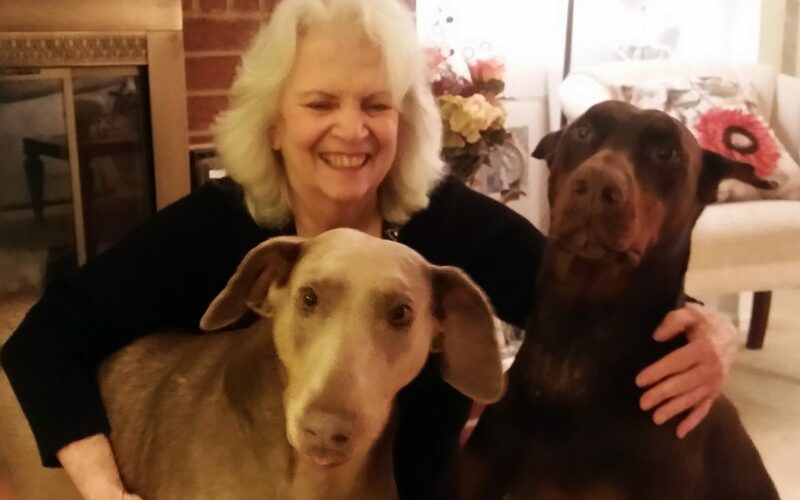 This month’s HousePaws Animal Hero is France Carmody. France is a HousePaws client who was recently given a life-threatening health diagnosis. 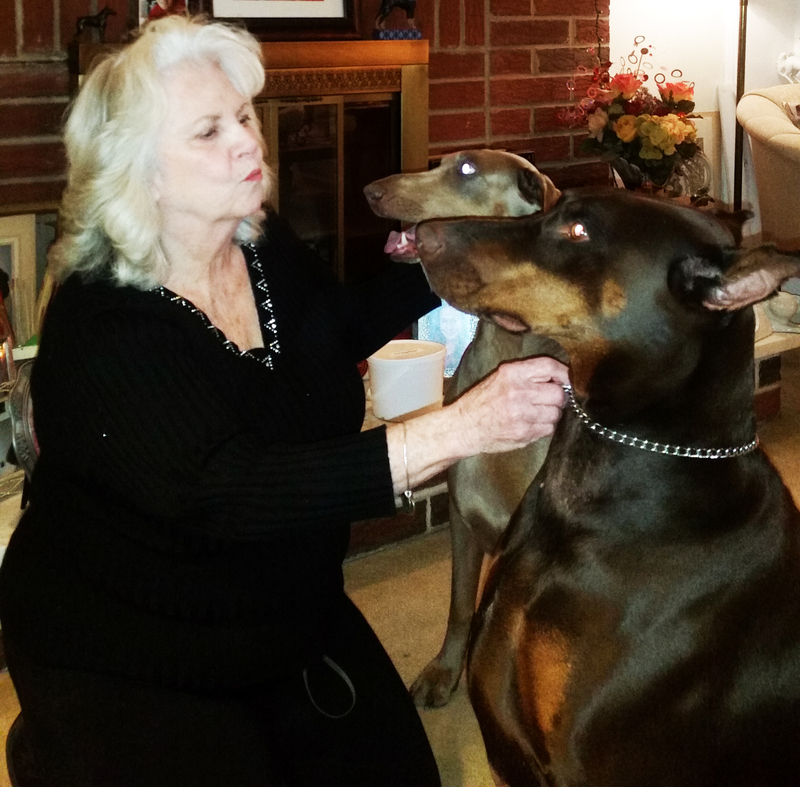 Her courage and positive attitude helped her overcome her condition, and in the midst of this fight for her life, she stepped in to adopt a doberman Pincher struggling with anxiety and aggression, and who was likely out of time and options without her intervention. 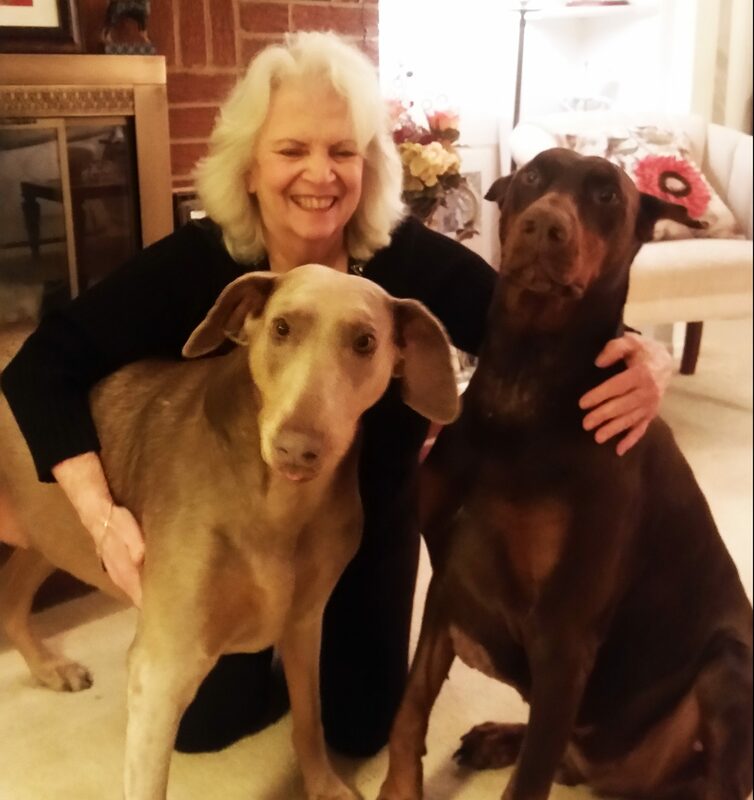 She also adopted another doberman who was in a situation of abuse, and with her guidance and patience, the pair are doing better each day. France is our hero because not only are her courage, strength and positivity an inspiration to others fighting cancer, her willingness to help others during her own time of need is a genuine inspiration. Q: France, can you tell us a bit about the health challenges you’ve had and overcome recently? How are you doing now? A: My health challenges with cancer pale against the fact that my late husband was paralyzed and a quadriplegic at age 32, for 48 years. 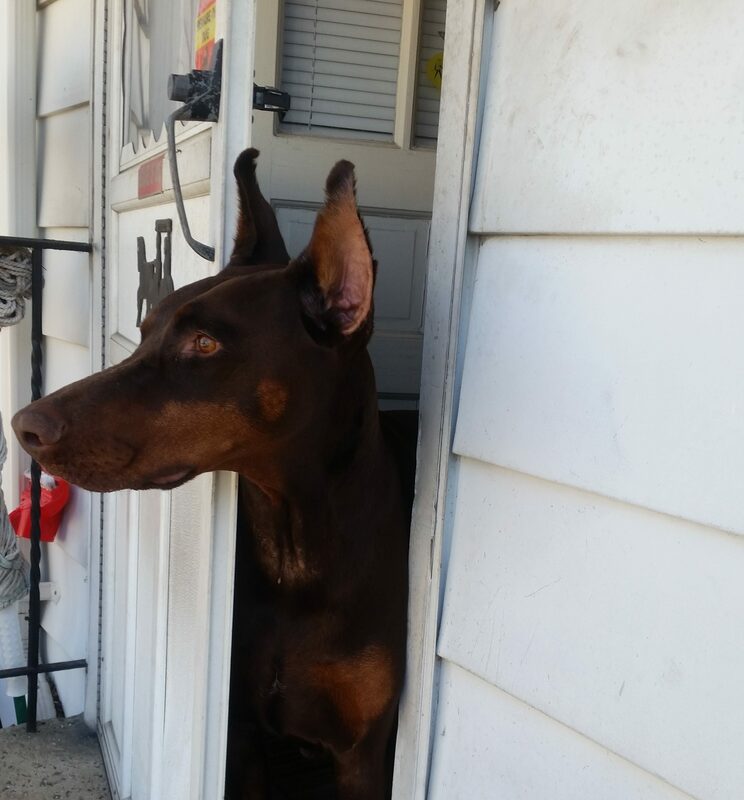 Our first doberman was his service dog! I found that all health challenges are lightened by having a pet with you during these times. My cancer was a rare type of cancer of the kidney and pelvic platform. I was given chemotherapy and then radical surgical removal of my kidney. I am recovering well. 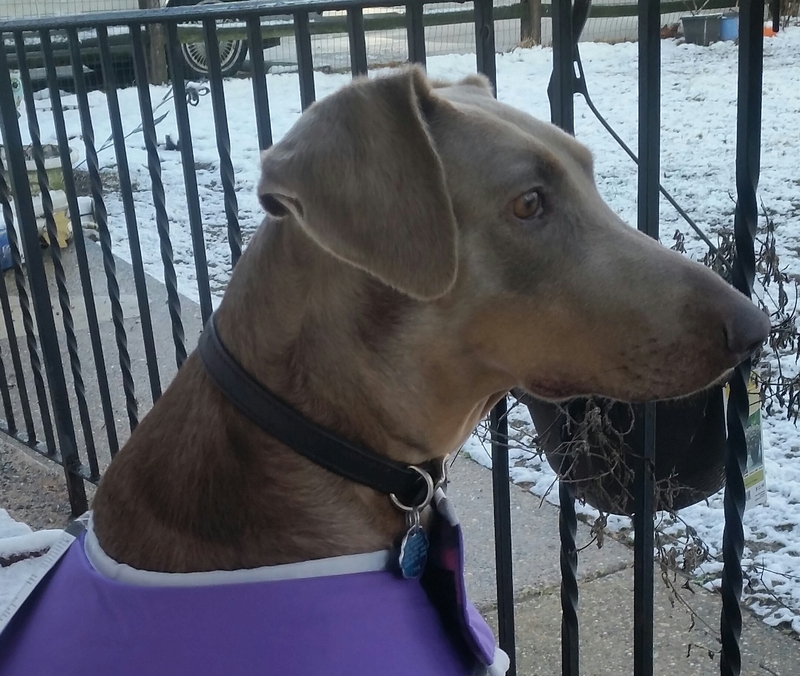 One day, one step at a time..
Q: During your battle with cancer, you decided to rescue an anxiety-aggressive doberman pinscher named Kadenz who likely would not have lived long enough to find another willing adopter. What made you decide to do this at that juncture of your life? 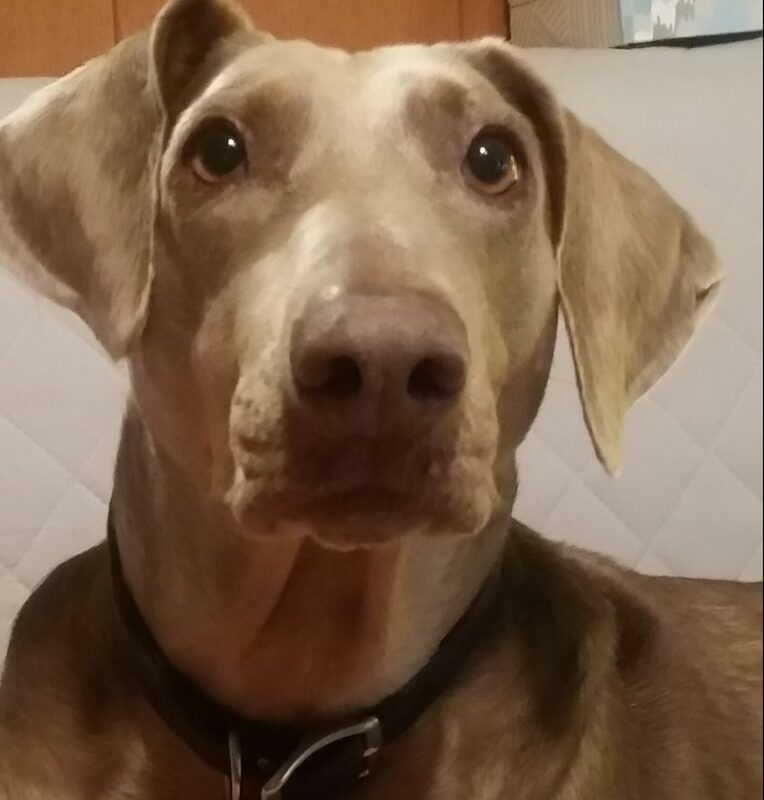 A: My husband died and our 13 year old dog died and during this time we decided to rescue an 18 month old Doberman who had bitten several people and had spent her life alone in a kennel. She was considered unadoptable. I couldn’t even take her to the vet. She couldn’t be muzzled because she would bite anyone who tried to muzzle her. She frightened the behavior modification specialist in Princeton as well as the doctors who saw her at the University of Pennsylvania. Dr. Lisa and Dr. Dana were the only ones willing to work with Kadenz. We realized that due to her past life experiences she distrusted all humans. Yet, we saw many redeeming qualities in Kadenz and felt that every animal deserves another chance. Q: What did you learn in getting to know Kadenz? What challenges did you face? Were there any moments that surprised you? A: Kindness and patience can work miracles. Kadenz was/is, to say the least, an extremely difficult pet. She hated to be touched. She would bite without warning! She would pull me into the street in order to chase a car. She would attack bikers and joggers! Slowly, after a few months, she came to be petted, but only on her terms. My daughter is in a wheelchair and she learned to move out of her way and back up on command. She also learned to go with her in the handicapped van. When my daughter leaves the van, the entire side is open, but she will never leave without permission. She became a vigilant watchdog and protector. When I was so sick from chemotherapy, she stayed by my side, day and night. I could tell she was worried. This surprised me. She had always tried to stay physically detached from us. Was she becoming our dog? I could not believe that she was lying on top of me. One day, the landscaper accidentally left the gate open to the yard and she did not leave. This is the first time that she definitively showed that she wanted to be our dog and a member of our family. 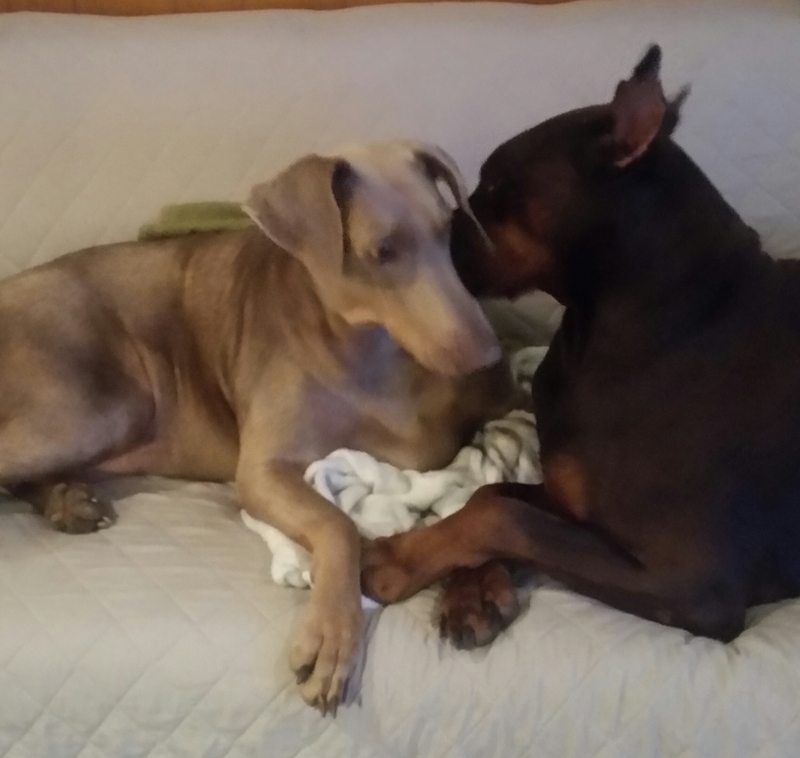 Q: Since adopting Kadenz, you’ve adopted another doberman pinscher, Atlas, who was in an abusive situation. Tell us a bit about him. Why did you step in for Atlas given the challenges Kadenz presented, and how are the two dogs doing together? 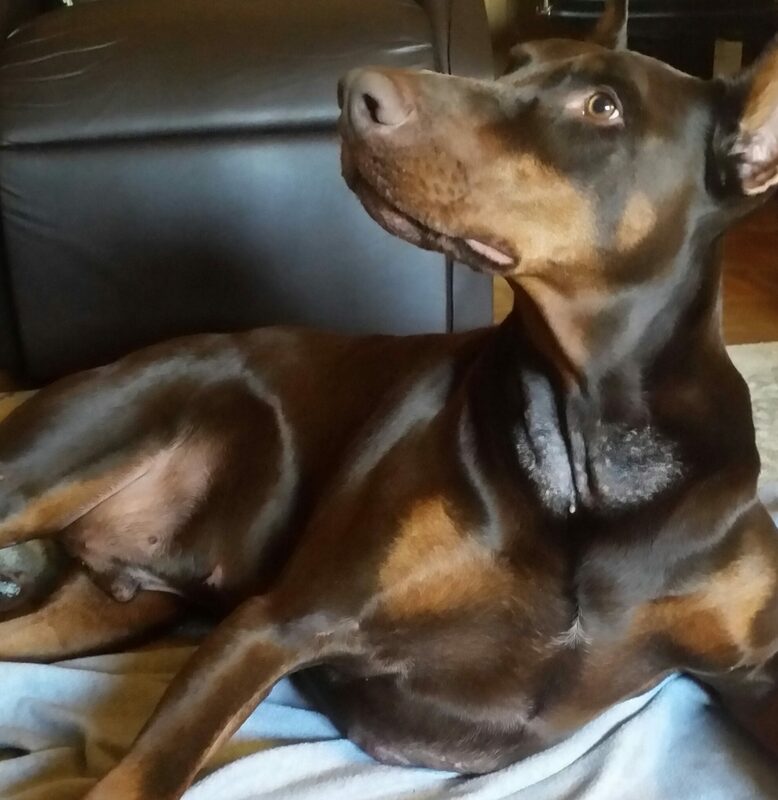 A: Atlas was listed on a Doberman website to be re-homed. They had re-homed him once and he was returned. They said he was great on lead. I wanted to walk as part of my recovery. I cannot walk Kadenz. Atlas is not dog, cat or child aggressive. The owners said they didn’t have time for him. This was obvious. He was so neglected and smelled so bad. His fur was rubbed off of his neck from being chained. His elbows, chest, and feet were calloused and sore. He was kept outside on concrete pavers. I almost didn’t take him, but he was not part of a rescue group who would help with his recovery. I was on my own with him. No rescue to help me. I took him anyway. Everyone warned me that Kadenz might hurt him. They are both large dogs and a fight could be brutal . I was nervous, but I had another 15 year old dog when she came,.and she loved him. I kept them separate for several days. Then one day they both went into the yard together and were fine. He is so gentle and tolerant that she could not provoke him. Now they love each other and I do not have to crate either one when we leave the house. Unfortunately, they took over the sofa in my family room. They are bookends! He has had a very positive effect on Kadenz and us. Q: Your impact on the lives of these two dogs is obvious. Have they had an impact on you? A: I am positive that the diversion of having pets, especially challenging pets has enhanced my recovery. They don’t leave you time to sulk and worry about your illness. You move forward and have purpose. My new challenge and goal is to certify Atlas as a therapy dog and take the gentle giant to Children’s Hospital and Fox Chase Cancer Center. Q: Do you have any advice for those considering adoption of a pet who many would consider an ‘un-adoptable’? A: Unadoptable, never!!! There is always the right owner for the so called unadoptable pet. Patience, kindness, structure, and love can do amazing things. I believed that I rescued them, but actually they rescued me. HousePaws Mobile Veterinary Service was started in 2010 in an effort to offer high quality veterinary service, at an affordable price, in the comforts of your own home.